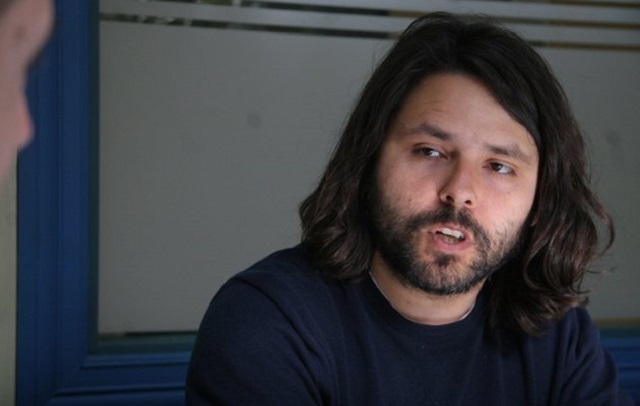 As a journalist and academic at the University of Chile in Santiago Alberto Mayol has been active in the student movement and written widely on topics such as inequality in Chile, the education system and the moral structures of Chilean society. He is the author of the books “The Collapse of the Model. The crisis of market economy in the contemporary Chilean model”, and “No to profit: From the crisis of the model to the new political era”. Ali Sargent: What are the main changes in the student movement since 2011? What are the main challenges it faces? Alberto Mayol: The student movement was counter-hegemonic. So there was a central question of how to approach hegemony with anti-hegemony, and at the same time formulate an alternative. The movement comes from a very wide cross-section of society, so this is the most complicated thing. Remobilizing people will be another challenge; this will get harder under Bachelet. AS: What are the main ideological groupings inside the student movement? AM: Historically in Chile student movements have been linked to main political parties. The interesting thing now is that the parts that are furthest to the right – supportive of the Communist Party – are quite a small part. Those that support the Concertación are getting smaller and smaller within the movement. Mostly support is for the anti-Communist Left, autonomist groups, Trotskyists (a smaller proportion), and a few “ultra” groupings. The biggest ideological currents are those far from institutional politics. After 2011 the anarchist groups got stronger. I think this is an element that exists in resistance globally at the moment, which has to do with the clear division that can be seen between economy and society. AS: Could you explain the nature of the Nueva Mayoria [New Majority], led by Bachelet in these elections. AM: In reality, it’s a re-constitution of the Concertación. The Concertación was born out of all the parties that wanted the plebiscite as the way to topple Pinochet – that voted “No”. The Democracia Cristiana (Christian Democrats), along with the radical, with the socialist parties – parties that were historically opposed. The Concertación grew after the 2011 mobilizations, and now has also absorbed the Communist Party. On several occasions historically the Communist Party has joined this alliance with the political center. On one hand it has always had very revolutionary processes, and in other ways it’s very traditional. In this sense it’s very interesting. This is crucial for the Concertación’s alliance as the only party with a link to the student movement. Through the Communist party the Concertación can say part of the student movement is in its “new majority”, and partly separate. AS: Could you talk a bit about the demand now in Chile for a new constitution? AM: The problem is as follows: the Constitution arises from a crucial set of political reforms done at the start of the 80s. In it were articulated all the fundamental elements of Chilean politics. One: a military democracy controlled through the powers related to Pinochet’s dictatorship. Secondly, a really intensely neoliberal economic model. These two features emerged in the Constitution and have been protected throughout democracy. This was achieved by means of a quorum system in Congress that obliges you not to have the majority to pass a law but instead to have 4/7ths with over 60% of Congress voting. In the beginning of democracy, in a more proportional system this would have been probable because the Right wasn’t getting more than 30%. They have since grown. As well as this, the voting system was set up regionally in a way that allowed two candidates for each district; and the only way to obtain both would be to get double plus one point more than the other list. Otherwise the list stays in a draw. It’s extremely difficult to get this double vote. Following the Constitution senators are also not elected but designated through certain institutions and that’s how the establishment has maintained the status quo. It was designed to maintain the coup state. The current Constitution forces the state to play an auxiliary role, eliminating possibilities of reform. AS: Do you think constitutional reforms are likely to happen in Chile’s near future? AM: Yes, they will reform the Constitution – probably there will be a new one – they will reform the public pension system, probably, the education system.. but we’re still falling short. I think we’re transitioning to have a blander, less intensely neoliberal set-up. But it’s certain that change is happening. AS: In 2011 you were involved in a proposal that outlined a new educational system for Chile [available at www.albertomayol.cl] . What were the main ideas? AM: At an educational level, in Chile there has been a destruction of the public system. If we want to make a good public system of education here in Chile it seems to me a good place to start would be to reformulate the school system and the technical universities. Degree titles would be awarded by a network of public universities, rather than from one specific university. If not, students who are able to study in more prestigious universities have benefits not associated with intellectual merit. Reduce the fees and increase spending, and the system will stay more or less the same. We also concentrated on the texture, the political nature, of available education. Social, cultural and normative cohesion could be achieved through less marketization. So we produced a series of designs in which education is free but degrees finish with some kind of public service as a way of paying for your degree. AS: Could you tell me more about the “You don’t have my vote” campaign in the 2012 municipal elections, and the politicization of the decision not to vote? AM: I was part of this vision and campaign, and the idea was to highlight that the current system makes little sense because there’s hardly any contact with the social grassroots. It was because financing in the Chilean system is a very murky area where many hidden interests are pursued. It was because the binominal system in the electoral system destroys possibilities of positive change.. Overall, we saw lots of factors which made it necessary to see things differently and abstain from voting as a political act. But the group that started the call to not vote were quite anarchist and when they were happy that they had won the moment, in terms of having raised a high level of tension, they declared themselves completely distant and lost interest. Because of this they left a vacant space out of a successful project and now they’re still calling for people not to vote. At the moment, although you can’t achieve much in terms of real social battles in Chile through the vote, it’s still a useful space to create pressure for the change you’re looking for. Therefore it’s my view that it is more useful to vote, despite everything. Abstentionism reflects a more profound phenomenon that has to do with the divorce between the social and the political. The social sectors that have no party that represents them form their politicization as an alternative to “the political”. AS: Thanks for speaking to Ceasefire. Ali, the name of the party is “Democracia Cristiana” (Christian Democrats) and not Paz Cristiana. The Christian Democrats belong to the Centrist Democrat International and is similar to Germany’s CDU.